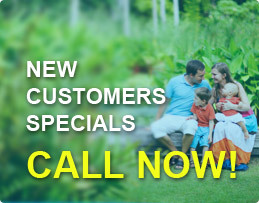 Organic Pest Control Katy is what Green Earth Exterminators specializes in. We are one of the fastest growing Pest Control Companies in Texas... Our fast growth can be attributed to our attention to detail. We strive for excellence in customer service. Our professionals are taught that the customer is number one. We provide complete training to all our personnel and conduct regular training sessions to insure that our employees are on the cutting edge of pest control technology. We take all your pest problems seriously, that's why we use the best products available to us. At the same time your health and safety are equally important. 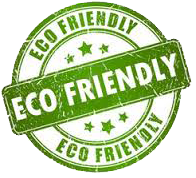 That is why all the products we use in and around your home are EPA registered and Green Earth Exterminators strives for 100% organic pest control as a better option for you the customer. If you want a great service at an affordable price with over 12 years experience and very knowledgeable staff then choose Green Earth Exterminators Pest & Lawn Services today. Green Earth Exterminators Pest Control stands by its total service Satisfaction Guarantee on each and every one of our customers especially you. One of the toughest, if not the toughest in the industry, we will go above and beyond the call of duty to ensure you and your family are satisfied. We will retreat areas that you are not satisfied with at no extra charge, redo the inspection of your facilities for pests if you feel we missed something, and we will work to solve the problem. At Green Earth Exterminators Pest Control, we stand by our word and guarantee - That's Our Promise to You..